In our quest for complete health and environmentally friendly beauty, at SpaFetish® we have discovered a natural Deodorant Stone to be Mother Nature’s purest answer to the chemical laden deodorants that have long been the standard. Imported from Thailand, our Deodorant Stone is born from a naturally occurring mineral salt that is extracted from the Earth in crystal form and is prized for its antiseptic and astringent properties. Moreover, whilst this natural deodorant crystal does not prevent the human body from perspiring, it will stave off bacteria that causes body odor. You simply wet the natural deodorant stone and rub it under your arms -- as you would any deodorant -- and it will eradicate the odor causing bacteria, to leave you smelling fresh . What is more, the natural Deodorant Stone is also superb for eliminating foot odor. Again, you just wet the stone and rub it on your feet to kill the bacteria and odor. Thus said, if you eschew harmful synthetics and desire a natural deodorant that is Earth born and readily kind to your body temple, our natural Deodorant Stone will be an ideal addition to any health-minded spa aficionado’s repertoire. And, since it is given by Mother Nature, it leaves no harmful residue and it does not contain any perfumes, dyes, preservatives or harsh chemicals. Thus said, it is highly recommended for the whole family. Plus, one small stone will last up to 6 months and a large stone will last well over a year – thereby making each deodorant stone crystal healthy for your body temple, while being equally kind to the environment and your budget. A gratis 5 oz. natural soap bar is included with each Deodorant Stone purchase. Our natural deodorant stone is 100% pure mineral salt and is ideal for use under the arms or on the feet to eliminate odor. This 2 oz. deodorant stone crystal will last up to 6 months. Our natural deodorant stone is 100% pure mineral salt and is ideal for use under the arms or on the feet to eliminate odor. This 4 oz. 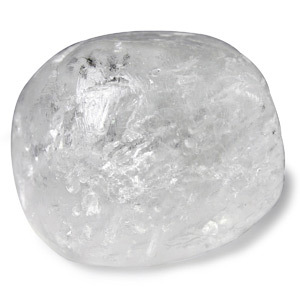 deodorant stone crystal will last up to 6 months.